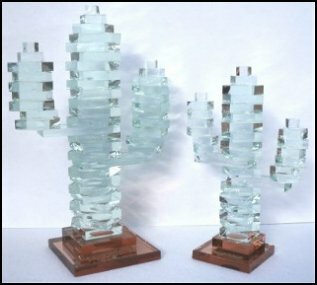 Glassical Concepts is proud to offer you our unique hand-made desert inspired glass treasures at affordable prices. 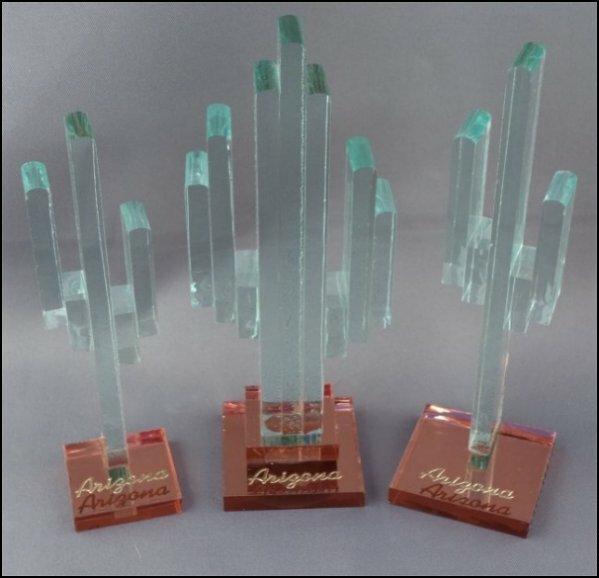 These beautiful glass pieces give an added touch to any decor. Each piece is specifically crafted to capture the spirit of the American Southwest. 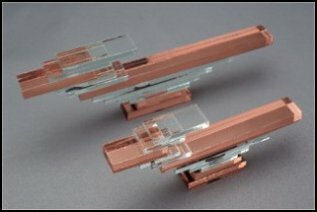 Produces glass products which are sold in numerous stores throughout the Southwest. 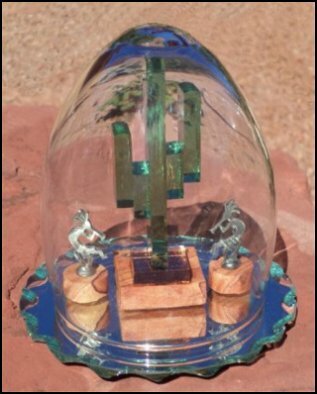 One of our many specialties is Southwestern desert art, which includes many sizes of glass cactus ranging from micro to extra-large, with colors of evergreen or clear, and your choice of bronze/mirrored or clear/mirrored bases. These bases may include Arizona gold lettering which is optional at no additional cost. We invite you to enjoy Glassical Concepts delightful works of glass art! 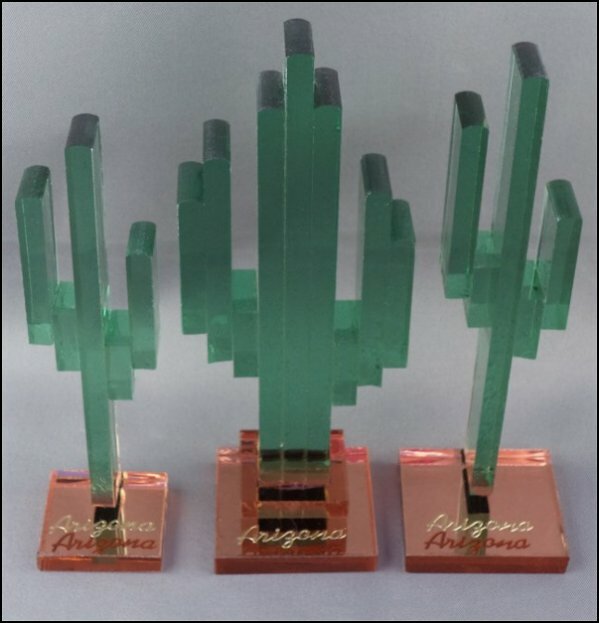 * Vertical green or clear cactus with mirrored bronze base and Arizona gold scripting (lettering optional). 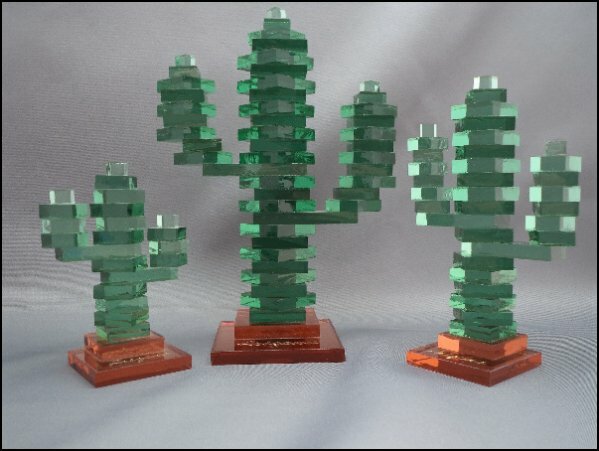 * Stacked green or clear cactus with mirrored bronze base and Arizona gold scripting (letttering optional).